For Erik Ohlsen, a Californian based Permaculture teacher and designer, 2009 is shaping up to become a year like no other. “I run my own Permaculture contracting business and am about to launch a Food Forest campaign for 2009” he said. Erik’s dream is to encourage people to roll out a Food Forest systems across America. “We’re going to install Food Forests like a brush fire, and we can.” he says. 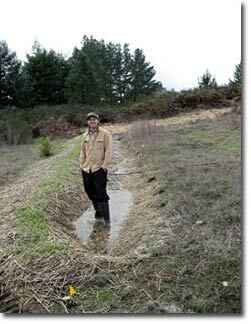 standing in infiltrating water of a swale. “I have seen Geoff Lawton’s Food Forest DVD” said Erik.. “As a Permaculture and food forest designer, I just wanted to see how Geoff organizes his food forests. Honestly I was blown away by the video. The first time I watched it I actually had a hard time going to sleep because I wanted to go out into my property and start planting like crazy. I just moved into a new house and am currently designing a food forest there. Erik’s desire to make a positive contribution to the planet started when he was in his teens. Erik has been involved in Permaculture for the last 10 years. So what is Erik’s vision for a Food Forest Campaign? 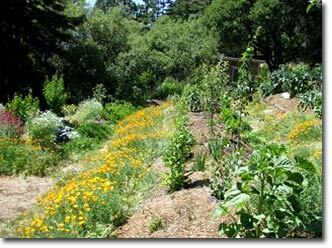 “First let me share what I think the full expression of a food forest can be. Beyond the staple ingredients of a food forest; water harvest, tons of leguminous trees and plants, Fruit and nut trees, wildlife habitat, growing mulch and building soil, I also see some additional elements we can message as part of a food forest. Chickens, outdoor kitchens, greywater, gathering and celebration spaces are all elements that I think can be part of a full expression of a food forest. Combining the kitchen garden with the food forest with the social needs of humans seems like a great way to message a new aesthetic for landscapes. “Once our campaign is underway and we are able to generate funding, we will stack an intern training element. The goal here is to train as many permaculturists as possible to be confidant designers and installers of these systems. 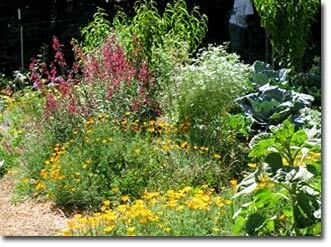 As we change the community aesthetic, the market for food forests should begin to reach larger and larger scales. 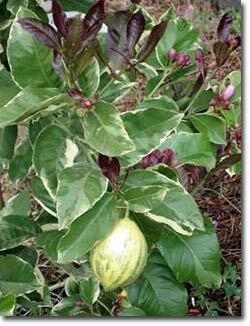 For this we will need many experienced Permaculturists to take on these projects. One part of this goal is to help the Permaculture movement get out of the cycle of always offering advanced training to inspired students that cost a lot of money. We want to be able to offer affordable training to people and eventually paid jobs. We need to get the PC movement out of the money rut and help provide right livelihood for those that want to make a career out of Permaculture. This point is very important to me and I am working on a couple other projects we are calling The Permaculture Skills Center and The Permaculture Business Alliance to also provide for this need in the community. Those projects will also help launch and supplement the Food Forest Campaign although the campaign will begin through my business Permaculture Artisans. But how would one launch a campaign like this with limited funds? So what sort of skills is Erik looking for? Erik’s other dream is to take over vacant city lots, and transition public parks to food forest systems that provide a plethora of resources for local communities and wildlife. “I have no doubt we will get there as the realities of re-localization campaigns and energy decent kicks in” he says. 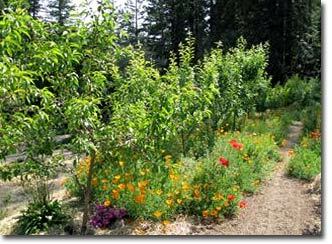 If you can help or need to know more about the Food Forest Campaign contact Erik Ohlsen directly erik (at) permacultureartisans.com or phone USA 707-332-8100.